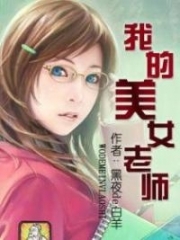 You’re reading novel Chaotic Sword God Chapter 533 - Seeing Tie Ta Again (Four) online at LightNovelFree.com. Please use the follow button to get notification about the latest chapter next time when you visit LightNovelFree.com. Use F11 button to read novel in full-screen(PC only). Drop by anytime you want to read free – fast – latest novel. It’s great if you could leave a comment, share your opinion about the new chapters, new novel with others on the internet. We’ll do our best to bring you the finest, latest novel everyday. Enjoy! Although Jian Chen had once been a student of Kargath Academy, his status now was completely different from before. Not only was he a Heaven Saint Master, he was the very first Imperial Protector of the Gesun Kingdom in several hundred years. Compared to before, it was completely useless to try and compare statuses. Even a vice-headmaster like Bai En would have to bow to Jian Chen now. As soon as the entire audience heard the fact that the white-robed outsider that came along with Ming Dong was the extremely famous Imperial Protector of the Gesun Kingdom, Jian Chen, everyone became stupefied once more. Straight away, a clamor could be heard as they all looked at him with looks of both adoration and fear. If Ming Dong was a person to be idolized and wors.h.i.+pped in the hearts of the students, Jian Chen was a deity in comparison. One that they could never dare to offend. 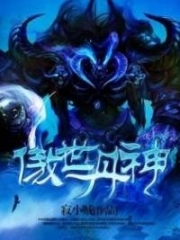 In the past, Jian Chen had been a person of influence in Kargath Academy. Even now, the achievements he had accomplished in the academy had been preserved to the present times. The champion of newcomers, the one who had gathered a shockingly large amount of monster cores, and the one who had defeated the Saint Ka Di Yun despite not even being a Saint himself. Then finally, the very same Saint who had cut off Cheng Mingxiang’s arm from the Hua Yun Sect while also forcing several other students to sustain injuries. 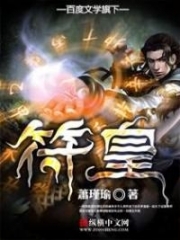 Each and every story Jian Chen was mentioned in caused the students of Kargath Academy to become extremely interested. Now after a span of several short years, Changyang Xiangtian’s strength had already reached the realm of the Heaven Saint Masters. Furthermore, he was also the Imperial Protector of the Gesun Kingdom. Such dazzling achievements like the ones that Changyang Xiangtian held were enough for every single student to deify him within their hearts. Even the envious students didn’t dare to ever show this on the outside. The ent.i.ty that was known as a Heaven Saint Master was an existence that every student could only hope to look at in their lives. This was a boundary that many of them would perhaps never be able to reach in their entire lifetime. Underneath the arena, Ka Di Qiuli’s limpid autumn eyes widened in shock as she looked at the white-robed Changyang Xiangtian with a complicated look of envy. “H-he’s really Changyang Xiangtian? No wonder he felt so familiar to me.” Seeing the handsome and positively br.i.m.m.i.n.g face of masculinity, Ka Di Qiuli began to mutter to herself. In her mind, she couldn’t help but think back to the events that had happened in the past with every possible feeling she had ever felt. Thinking back, Changyang Xiangtian, her, and her two brothers had only just entered Kargath Academy. Everyone wasn’t even a Saint or had barely just became one. It had only been several short years since then. She and her two brothers were now the strongest in Kargath Academy, and her eldest brother Ka Di yun had just recently made the breakthrough to become a Saint Master. They hadn’t even left Kargath Academy yet while Jian Chen had, in these short years, become a high and mighty Heaven Saint Master. Heaven Saint Masters were part of a world where everyone yearned to be. Now that everyone knew that these two men were Changyang Xiangtian and Ming Dong, the only ones that could be relatively calm were the Ka Di siblings. Ka Di Yun and Ka Di Liang could only look at Jian Chen on the platform with complicated looks. For a long time, they were silent. They both could distinctly remember the rather unhappy feelings between the both of them way back then. 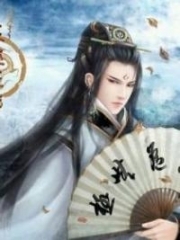 Despite becoming a Heaven Saint Master as well as becoming an Imperial Protector for the Gesun Kingdom, Jian Chen hadn’t the slightest air of arrogance to him. Hurriedly lifting Bai En up, they began to speak several words of conversation. “Ah, Changyang Xiangtian, you’ve finally returned. Please, come on over to my place and allow me to do the honor as the host.” Khafir smiled. Jian Chen coming to Kargath Academy meant that he had not forget about this place. This little insight made Khafir feel joy and pride in his heart. “Then, I’ll trouble the headmaster with this matter.” Jian Chen cupped his hands with a smile. “Haha, no worries. No worries at all. You coming here brings great honor to the entire Kargath Academy.” Khafir laughed merrily before slowly ascending into the sky to reach the tower in the center of the academy. Unwilling to be left behind, Jian Chen began to gather the wind elements in the world to carry him and Ming Dong high into the sky. At a leisurely pace, he began to follow Khafir away from the arena, leaving behind a large group of students that could only look up in envy. Soon enough, Jian Chen had brought Ming Dong to the tallest point of the tower where Khafir was. This was not only the place where Khafir conducted business, but it was also where he slept and received his guests to talk about several important things. Jian Chen had drained his cup in a single gulp. It went without saying that Khafir had brought out an exquisite wine, but compared to the Hundred Gra.s.s Wine that the Ape King had bestowed to him, it was still quite lacking. After finis.h.i.+ng his drink, Jian Chen placed the cup gently back on the table. Then, taking out a jade bottle from his s.p.a.ce Ring, he said, “Headmaster Khafir, allow me to treat you to a genuinely matured bottle of wine.” He took out the thousands of year old Hundred Gra.s.s Wine. Back then, the Ape King had gifted him roughly ten catty of the drink where Jian Chen had used nine out of the ten to increase his strength. All that was left was this single catty. The very moment Jian Chen began to pour the Hundred Gra.s.s Wine for everyone to drink, a strong smell of wine began to flow out from the cups and fill the entire room. “Woah, Jian Chen, you’ve been hiding such a great wine from us! Quickly, pour us a cup, I want to try!” Ming Dong impatiently pushed his cup to Jian Chen with sparkling eyes. Upon hearing that this was the wine given to Jian Chen by an Ape King of the Spirit Apes, Khafir’s entire body began to wrack up as if experiencing a seizure. There was a look of utter disbelief in his eyes as he stared at Jian Chen. The Cross Mountains was a designated forbidden area for humanity. Every single person that entered that area was basically guaranteed to never come back out alive. He hadn’t thought that Jian Chen was not only able to enter, but he was also able to convince a Saint Ruler level individual to hand over such an excellent wine. Such a feat was mind boggling. Ming Dong didn’t look surprised at all. He already knew that this wine had to be very hard to obtain and simply drank a sip of the Hundred Gra.s.s Wine. Then, closing his eyes from the intoxication, he began to relish the sensation of the fine wine entering his body. Seeing the intoxicated look on Ming Dong’s face, the wine enthusiast Khafir could no longer hold himself back. Pus.h.i.+ng away the questions he had, Khafir pursed his lips and took a sip. Straight away, two bright rays of light could be seen in his eyes as he let out a praise of admiration, “Truly a splendid wine. Such a wine like this is something I have never drunk before! After drinking this, I feel as if every single wine I have tasted in my entire life is dull in comparison!” With that, Khafir drained the remaining cup in a single gulp. Closing his eyes to bask in the intoxicated sensation, Khafir leaned back. This wine could not only increase one’s Saint Force, it could also expand the spirit of the drinker. After drinking the wine, Ming Dong and Khafir couldn’t help but close their eyes to experience it. Jian Chen smiled as he looked at the two. When he had drunk the Hundred Gra.s.s Wine, he too did the exact same thing as these two. Suddenly, Jian Chen started. Staring in surprise at the headmaster, he could see that there was a faint layer of the energy of the world gathering around the headmaster’s body. The energy of the world began to grow even more intense before finally disappearing into his floating body. At the same time, a strong amount of energy dispersed from him in such a strong wave that it shook Ming Dong from his drunken stupor. “What’s happening?” Seeing how Khafir’s body was suddenly floating in the sky, Ming Dong asked Jian Chen in confusion. Jian Chen nodded his head without a word. The effects of the Hundred Gra.s.s Wine were something he was all too familiar with. The headmaster’s body continued to disperse waves of energy one after another for some time before finally growing calm. His body gently descended back to the ground before he opened his eyes with apparent joy in them. “Congratulations to headmaster Khafir for climbing to the next level!” Jian Chen congratulated. “Does this wine really have such an effect like that?” Ming Dong was skeptical. Immediately following Khafir’s example, he poured the rest of the cup into his mouth and closed his eyes. “What use is gold? This Hundred Gra.s.s Wine is something that only the magical beast clans would have. You won’t find such wine outside of their clans.” Jian Chen admonished. “Jian Chen, pour me another cup!” Ming Dong pushed his cup to Jian Chen with a pitiful look. 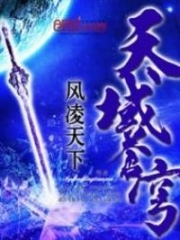 You're reading novel Chaotic Sword God Chapter 533 - Seeing Tie Ta Again (Four) online at LightNovelFree.com. You can use the follow function to bookmark your favorite novel ( Only for registered users ). If you find any errors ( broken links, can't load photos, etc.. ), Please let us know so we can fix it as soon as possible. And when you start a conversation or debate about a certain topic with other people, please do not offend them just because you don't like their opinions. You're reading Chaotic Sword God Chapter 533 - Seeing Tie Ta Again (Four). This novel has been translated by Updating. Author: Xin Xing Xiao Yao already has 11529 views. Current Time is Apr-24-2019 08:49:21 AM.